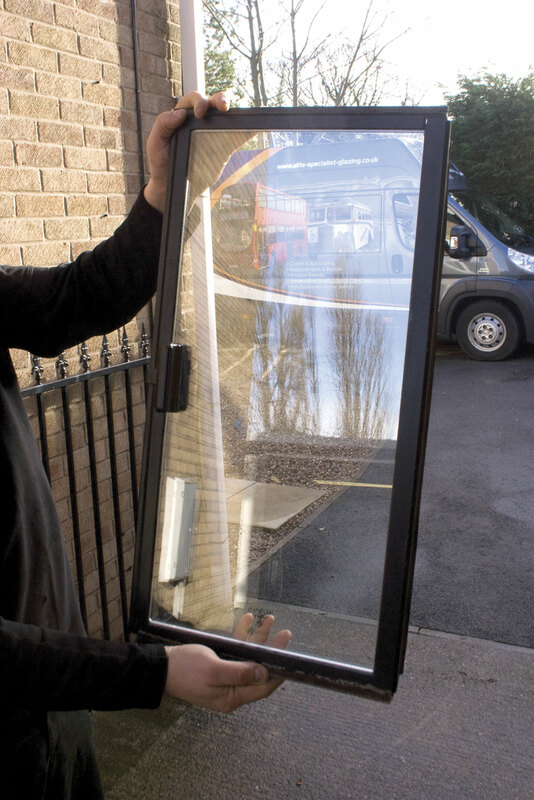 Chris Peat met him at the glazing specialist’s operating base in Wakefield to put the spotlight on this relatively new player in the PCV window repair and replacement arena. Since starting up in January 2013, the time has gone quickly for Steve as the company has gone from ‘strength to strength’. ‘I never expected it to take off the way it did’, he said. 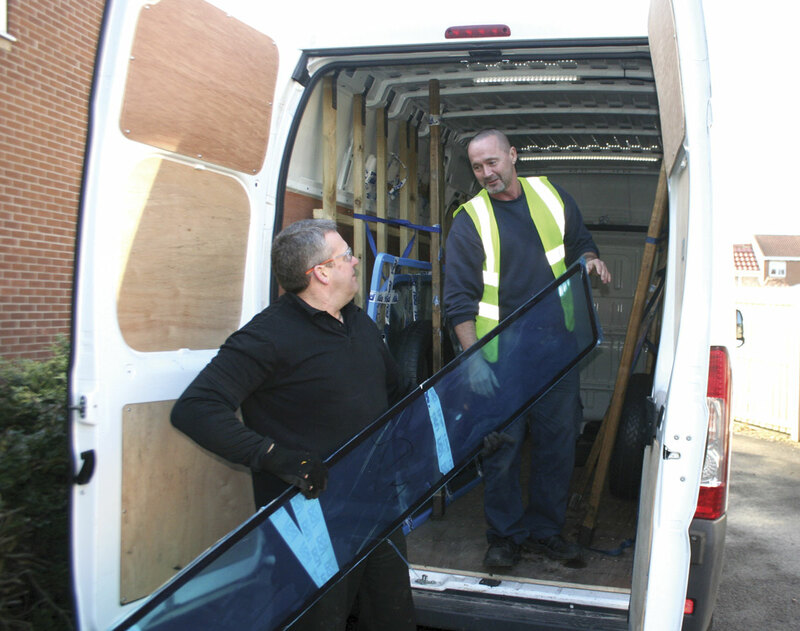 Steve works with another well known name in the industry, PSV Glass, for glazing provision. The company is thought to have the largest glass supply warehouse in Europe, from which Steve receives a delivery most working days, also undertaking work for them on a subcontracted basis. 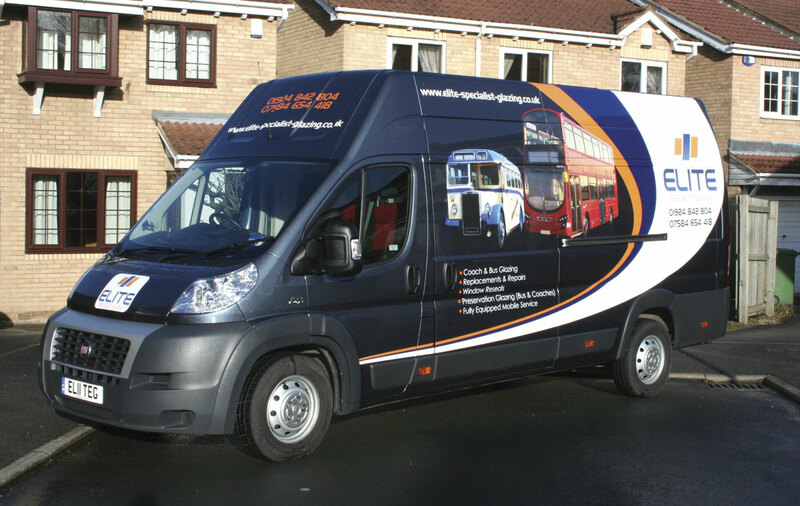 Fully mobile, he travels the country with his attractively liveried van to carry out repairs and replacements. He has the capability to repair stone chips and cracks and finds that people prefer this option to replacing glazing. The reason behind this is straightforward, it is simply a lot less costly. However, sometimes a repair is just not viable and a replacement screen is required. Steve said there are even some operators that just want to ‘change it out’ rather than consider going down the repair route. Over his 25 plus years of experience in the industry, he has gained the skills to cut and fit glass to any bespoke requirements. 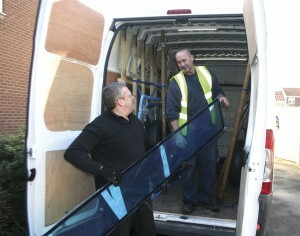 Refurbishment is another aspect of Elite’s work, with Steve able to restore glazing to an ‘as good as new’ state. He also does frame refurbishments, having previously done this on Plaxtons and Van Hools. Buying these parts new would cost in the region of £450 to £500, but to refurbish them is approximately £200-250. Vehicle make and model is no barrier to Steve, he has the skills to work on all PCVs. He can also do work on motorhomes, boats and tractors; any vehicle with glass. However, the PCV market will continue to be his main focus. 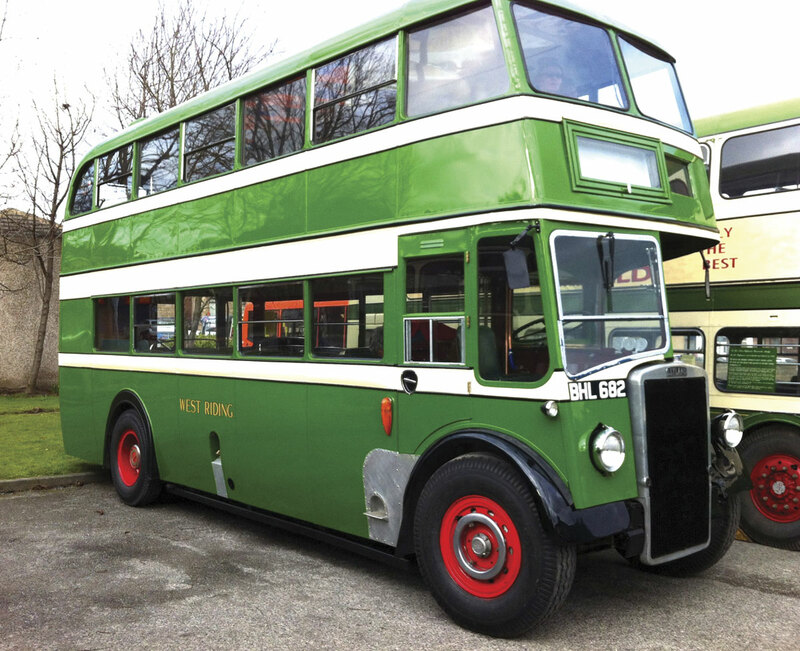 A niche he has served lately is vintage bus and coach glazing, work he has gained through customers that have used him before and trust him with working on their heritage vehicles. To carry the work out, Steve uses tools from some of the most well known brands. The resins he uses for crack repairs are from GT Glass (see B&CB 1204, 14 December 2012), which he says seem to be the best quality around. He also uses the company’s Crack Jack system for opening up the surface of cracks to allow the resin to flow better. 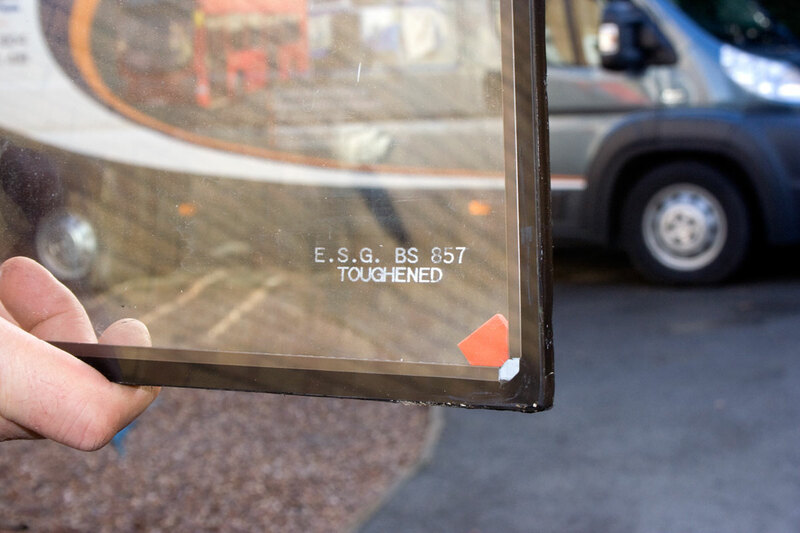 The refurbished glass meets British Standards. ‘The customers’ preference is for the work to be carried out at their depot’, said Steve. He claimed that in this economic climate, no one wants to be running a bus back and forth needlessly. Not only would it mean extra fuel costs, it also means tying up a driver for the day. When he began in this industry, ‘everyone went to you for the repair’. Now though, the glues used in the process are a lot faster setting and the vehicle can be back in service quicker. They need not necessarily be out of service for an entire day. Steve’s location aids in providing a fast turnaround time. As soon as he has the glass for the job, he can be out to the customer ‘as soon as they want’. He related one instance when he received a call from Castleford at 07.30 and the vehicle was back on the road by 08.45. It depends how urgent the need is, if it is particularly urgent he can reprioritise the work and be there sooner. He keeps some stock on site to help ensure a fast response time. Steve is happy to fit and repair anybody’s glass, working with any size operator. He can even supply the glazing for the customer to fit themselves. He is the head fitter, but giving him a helping hand is his brother, Nev, as well as another colleague, Phil, whenever the work requires it. His son also assists in the repair and glazing side. The administration is carried out by Accounts Manager, Karen, Steve’s partner. Steve’s nine year old stepson is also taking an interest in the business, having had a go at some crack repairs on PSV glass Steve has spare. It does seem to be something that attracts custom, helping Steve to rapidly build up a good customer base. It was hard for him to estimate exactly how big it is because the figure is always growing. Steve said, ‘We could get a phone call at any minute and it will be a new customer, that isn’t rare.’ As well as the traditional values, good old word of mouth is playing a part in Elite’s success, with happy clients passing on Steve’s contact details. A popular line for Elite and something Steve claims is unique to his company is his work on Ford Transits. He can rectify the common problem on the sliding windows of these vehicles, where the pegs that hold the glass in place burst and wear. To remedy this, he has had some specially designed clips made to replace these pegs. Steve charges around £45 per window for these, depending on where he has to travel to fit them. This is a considerable saving, as to replace the glass would cost about £500, according to Steve. He says they are easy to fit, but you have to get the glass out beforehand, meaning much care has to be taken. Considering he has only recently added this service to his portfolio, it has really taken off for him, with several Yorkshire customers and one in Wigan requesting it. My dad always told me that when working on someone’s vehicle, treat it like your own and do the job you would expect doing on it. He was always proud of his vehicles and at the end of the day, your fleet is your pride and joy, so it needs that care and attention. That’s what we give them. That is not to say Elite is standing still, it is constantly striving to be as good as it can be. On my visit, Steve was in the process of ordering a new uniform, giving an even more professional touch to his team. He continues to market the company’s services, having attended vintage rallies, trade shows and other events to get the name out there. He makes good use of social networking sites, where he displays some good examples of the quality of his work, along with some testimonials from customers. He is now preparing an even more extensive internet presence.